I shared how to make Tepache - a delicious, sweet, fizzy, pineapple drink - using pineapple scraps, sugar and water. Well, now it's time to learn how to make your very own Apple Cider Vinegar (ACV) using apple scraps, sugar and water! It takes a little longer, but it's just as easy. 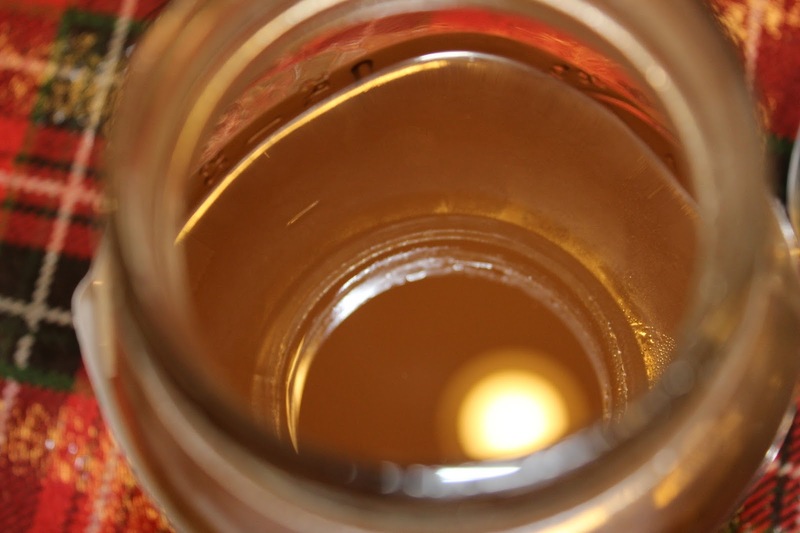 We use apple cider vinegar often - especially in the summer. 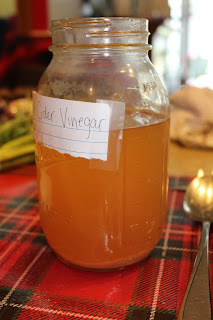 We use it for a quick salad dressing and Jason likes to make his own sauce for smoked meats. Once you make a batch of ACV, you can keep it in the fridge so it's always ready when you need it. 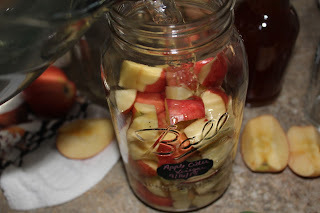 Last fall I made a big batch with some not-so-pretty apples from the apple trees at my parent's house. 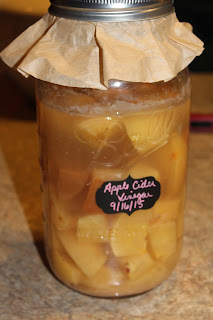 We've been using it all winter, but when I got it out today to use, I realized that I never posted how to make it! 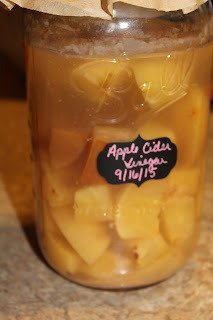 You can make this any time of the year, but, if you can apples or make applesauce in the fall, it's the perfect way to utilize all the peels, cores, and any other piece of the apple you'd normally just compost. You can make as large or as small of a batch that you'd like. 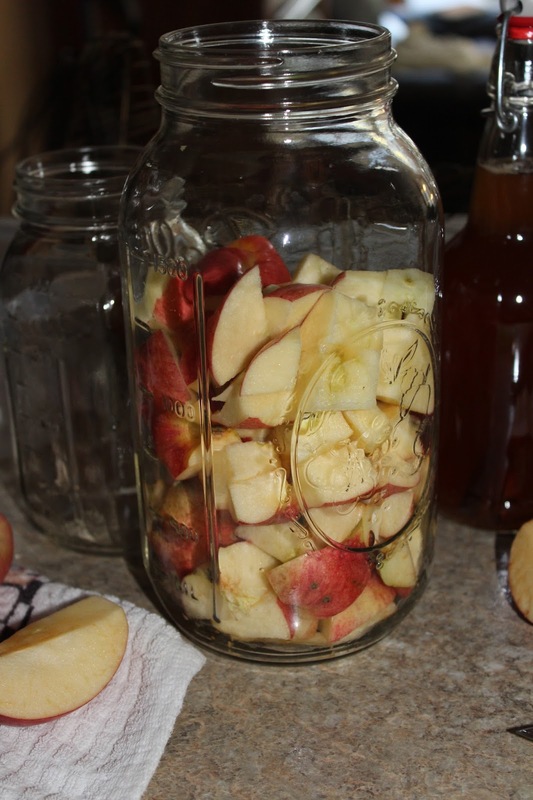 Any size canning jar will work. This will need to ferment for 2-6+ weeks. Check on it every few days, give it a stir, and, if you see any brown "sludgy" stuff forming on the top, just scrap it off and toss it. 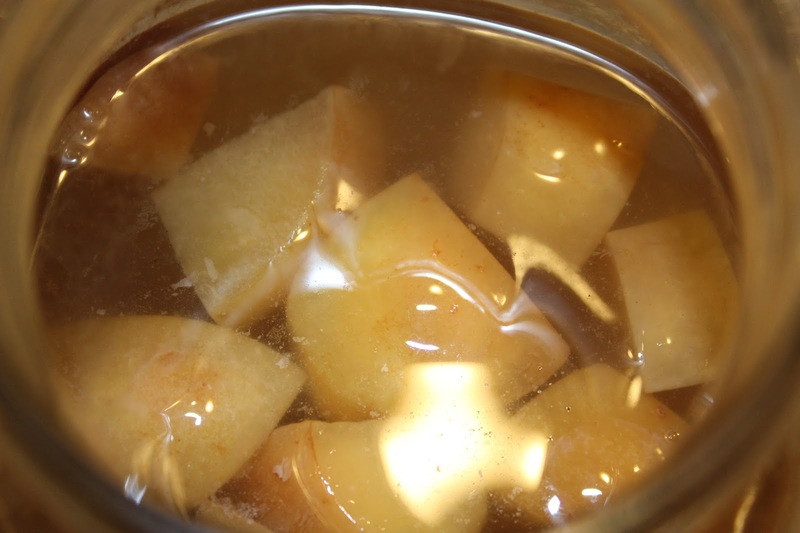 The chance of mold are very slim - as long as you keep the apples submerged under the sugar water at all times. 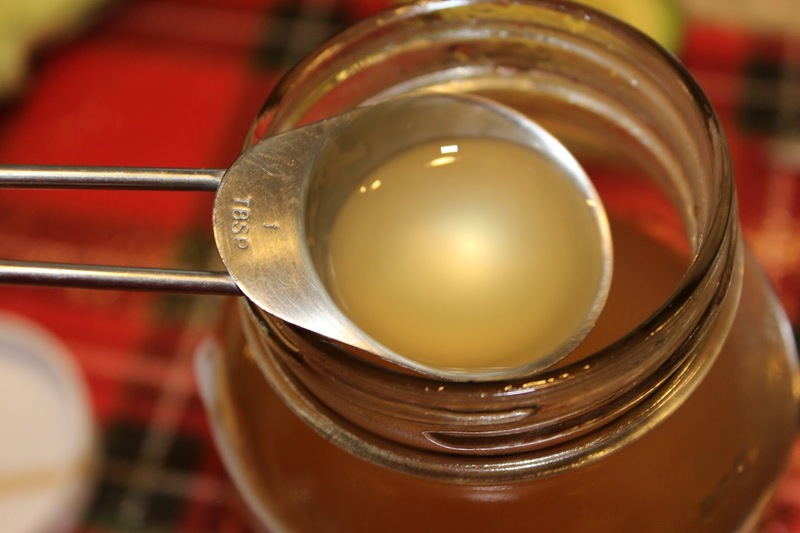 But, if you do spot mold, it's best to toss it all and start over. 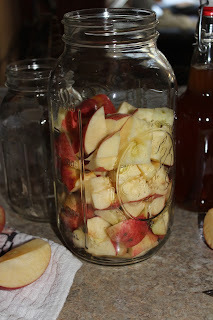 Fill your jar 3/4 of the way with your apple scraps/pieces. 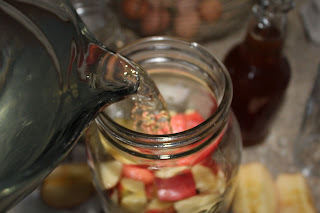 Dissolve your sugar into warm water and pour over the apples, leaving 1 inch headspace at the top of the jar. 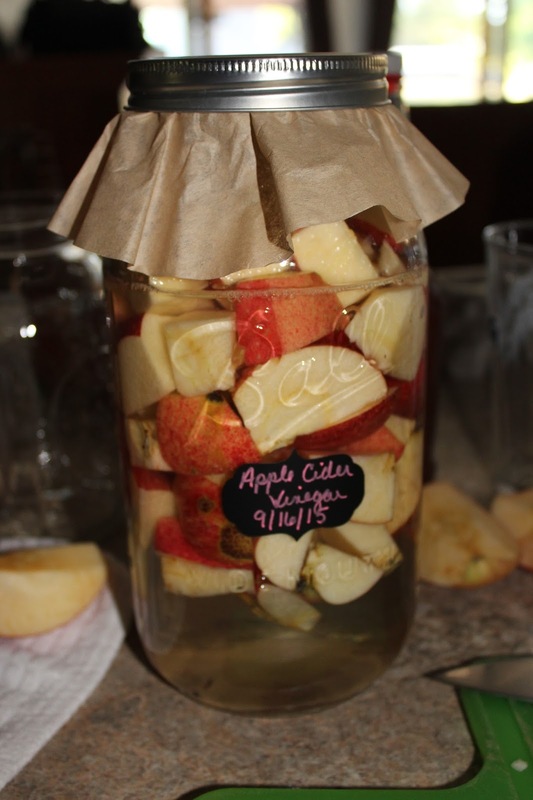 Cover your apples with a coffee filter/cloth and either secure with a rubber band or a metal canning ring. 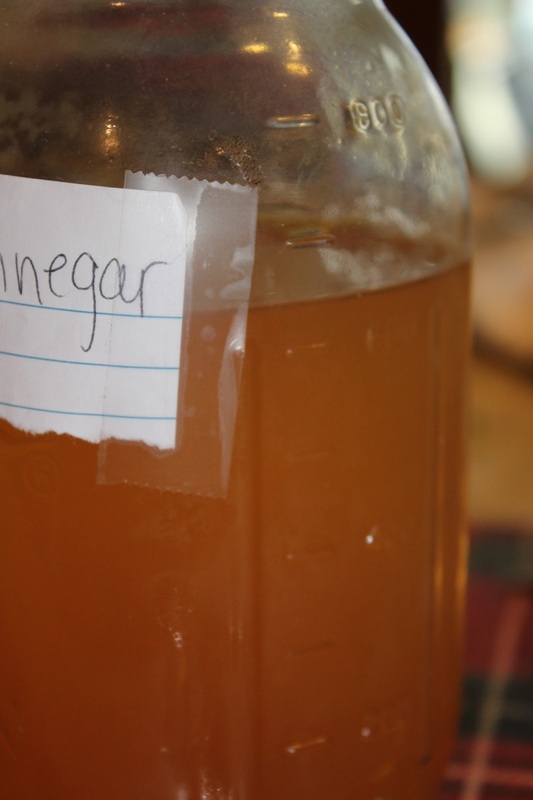 In order to ferment and become vinegar, the mixture must be able to breath oxygen. Stick your apples in a dark place and wait. It will take at least 2 weeks to become vinegary, maybe even longer. Mine sat for 6 weeks. 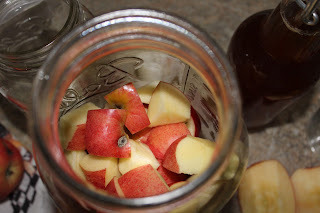 Once your vinegar is vinegary enough for your taste, use cheesecloth to drain the apples. 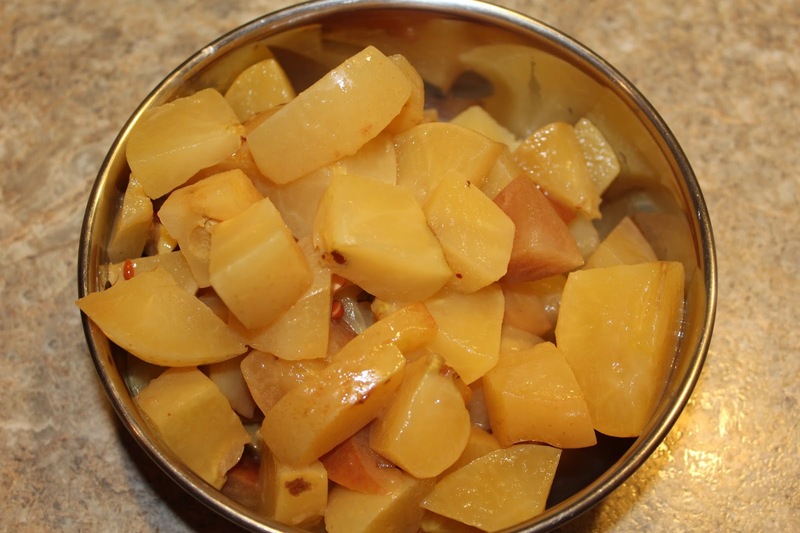 If you have chickens - feed the apples to them (just be sure to remove the seeds first) - they'll be very appreciative! 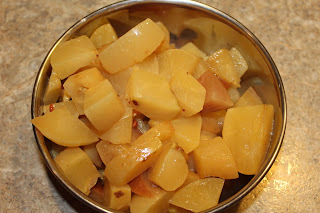 If not, just toss them into your compost to work their magic. Once drained, transfer the vinegar to a jar, put a lid on it and store in the fridge. Use it and enjoy! Have you made your own apple cider vinegar before? What are you waiting for?? It's so simple! !